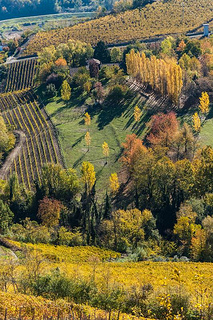 Monferrato is a small casket of magical landscape and traditional Piedmont’s flavor that you can’t miss if you love Italy! Last 22nd of June, UNESCO declared the Monferrato historical and artistic heritage of Humanity and we add it’s one of the most romantic and charming place you can choose to celebrate your love. 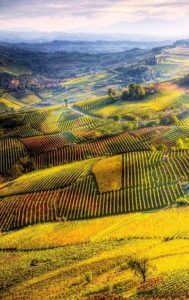 The lush green of the hill and the charm of the snowy mountains, offers to your eyes a picture postcard setting and the vineyards jealously guard ancient flavors of white and red wines loved and appreciated all over the world. 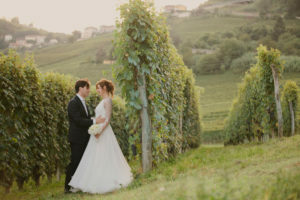 Choose a wedding location in Monferrato for your marriage: you’ll pronounce the promises surrounded by the green of the vineyards, you’ll relish ancient flavors of traditional dishes, you’ll stroll on timeless paths and will discover small hidden hamlets. Wedding location in Monferrato can combine both tradition and modernity, they will welcome you and will spoil you with all the comfort, to make your wedding unforgettable. Write us to get some information for your wedding in Monferrato and take a look to our destination wedding service. Un Giorno Un Sogno is waiting for you.